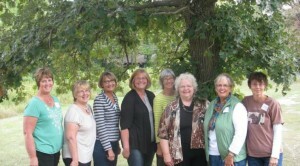 In 2008 a group of northwest Iowa early childhood educators, professionals and naturalists came together at Iowa Lakeside Laboratory and Regent’s Resource Center to discuss and brainstorm solutions to ‘nature deficit disorder’, or the growing national concern about the increasing disconnect between children and nature and its implications for their intellectual, social, psychological and physical development. These concerns had also been recently been documented by Richard Louv’s landmark book Last Child in the Woods (2005). 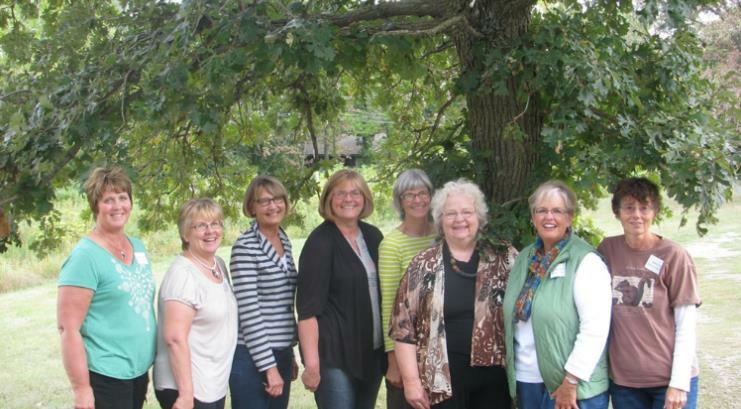 The group that would later name itself “Nature Connections” also took inspiration from the Kinder Nature program and website founded by then Story County Iowa naturalist Linda Zalatel. This pioneering effort worked to provide developmentally appropriate environmental education resources for early childhood educators. In 2005, the Kinder Nature program had been disseminated into Northwest Iowa through an Iowa Department of Natural Resources REAP CEP ‘Perpetuate a Good Idea’ grant authored by Diana Pritts, then naturalist intern at the Dickinson County Conservation Board. One item of discussion at the first Nature Connections meeting was how to continue, spread, and deepen the influence of the Kinder Nature program in Northwest Iowa. From 2008 to 2011 and prior to the development of the Young Investigators professional development, the Nature Connections team conducted a number of courses and workshops at Iowa Lakeside Laboratory including the Outdoors – Let’s Explore! Institute, the Patrice & Rita Leary Early Childhood Environmental Education Fellowship, and Kinder Nature Teacher Workshops. While worthy, these programs provided mainly one-day teacher workshops and lacked strong follow up and administrative support for teachers. Furthermore, they lacked a team approach as teacher associates and administrators were not included in the trainings. A team approach with a long-term commitment was needed. As a result of these findings, along with a growing recognition of the lack of high quality, affordable professional development opportunities for early childhood educators especially in rural areas, the Nature Connections team decided a new training model was necessary for successful and sustainable teacher professional development. After researching alternatives, the team approached Dr. Judy Harris Helm and her nature-based Project Approach. In 2012, Young Investigators: Connecting Children with Nature through Project Work, was rolled out with the first grant from Iowa DNR’s REAP-CEP grant. The original plan was to reach as many Northwest Iowa early childhood teachers, associates and administrators as possible in a series of three cohorts conducted over a five year period. Each cohort would receive three years training and follow up coaching. In 2013, a second REAP CEP grant allowed a second cohort (Cohort II) of teachers, assistants and administrators to begin Year One training and Cohort I began Year Two Training. A third grant was received in 2014, serving a new cohort (Cohort III) as well as the previous cohorts. In 2014 and 2015, the Young Investigators program drew state-wide and national attention when the Nature Connections team and teacher participants were invited to present at state and national conferences. The Young Investigators program was presented at the Iowa Association for the Education of Young Children in Ankeny, Iowa in September 2014, at the National Association for the Education of Young Children at their national conference in Dallas, Texas in November 2014, and at the University of Northern Iowa Early Childhood STEM and Literacy Conference in Cedar Falls, Iowa in April 2015. This attention brought demand for additional trainings, and in January 2015, the Nature Connections team decided to add a fourth cohort and an optional, additional fourth year of training to add rigor and deepen the nature-based project work. The Nature Connections team is honored to have faculty teams from Iowa State University, the University of Northern Iowa, and The Regents’ Center for Early Developmental Education at the University of Northern Iowa. Several of these teams plan to conduct research on the efficacy of the Young Investigator training model on literacy development, special education, and as a potential state-wide model in Iowa for early childhood STEM learning.